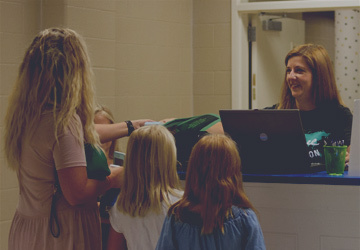 At The Fountain Church, you will be welcomed into a friendly environment by a community of people who are excited to see you. Our Serve Teams work to create a welcoming environment and are a great way to grow, meet others, and discover your calling. 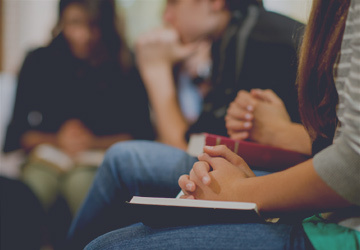 Are you new to the church or simply want to learn more? 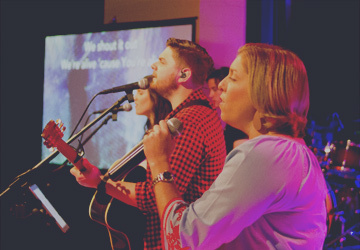 We offer Discover The Fountain once a month to help you discover who we are as a church and explore opportunities to connect beyond worship experiences. It’s a great way to check out The Fountain Church and find out your next step! Our great hope is that you’ll discover Jesus in a real way and find a home here. A great first step is to attend Discover The Fountain which happens every month. Interested in joining The Fountain Church? Email Pastor Andy Lett. God wants to relationship with every person! Jesus died on the cross and rose from the grave in order to make that happen. Basically, what Jesus did on the cross was for you! Grace is the undeserved, unearned gift of God’s love that’s offered to you because of the cross. And our part is to simply accept that gift. That’s the faith part. Our staff is happy to help answer any questions you may have! Interested in being baptized? Baptism is a visible sign of how God’s grace is changing your life. We baptize by immersion, sprinkling, or pouring. Got questions or want to schedule an infant or adult baptism? Email us here.